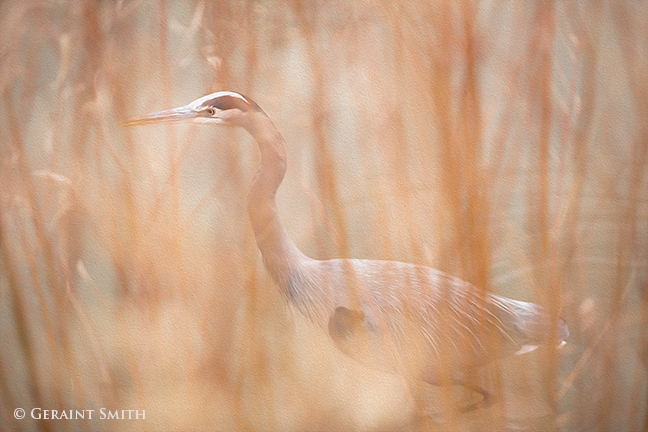 Great Blue Heron stalking prey through the red willow in the marshes at the Bosque del Apache, NM. 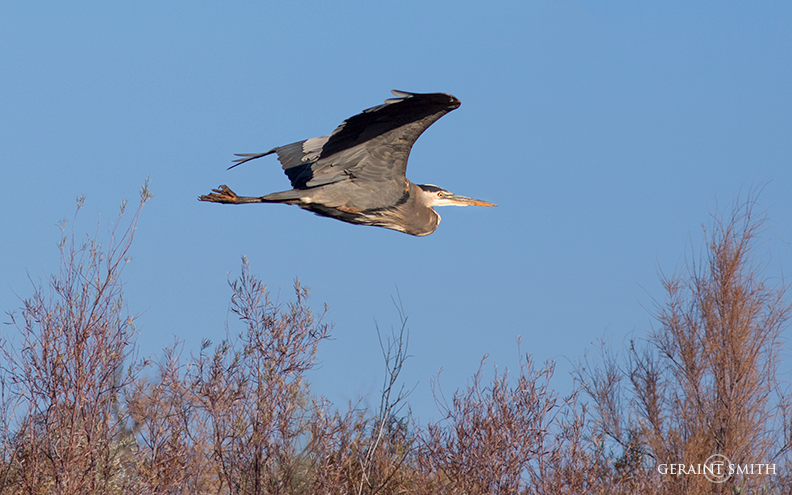 Here’s an image of the Heron and it’s prey. 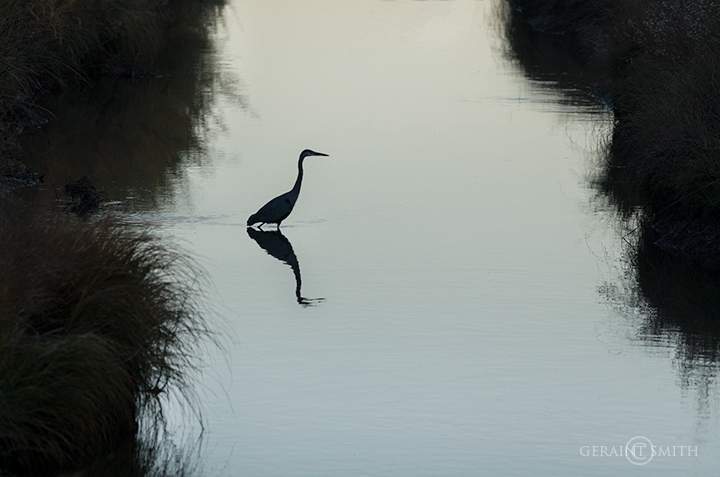 In this image from November 2007 he catches a fish at sunrise. 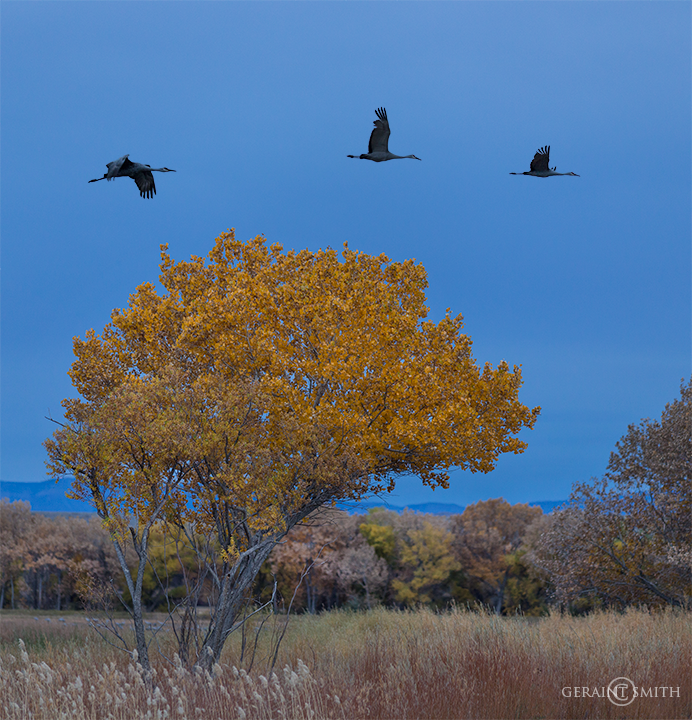 Sandhill Cranes in flight at the Monte Vista NWR, Colorado. It’s always fun to make the two hour drive from Taos to Monte Vista. 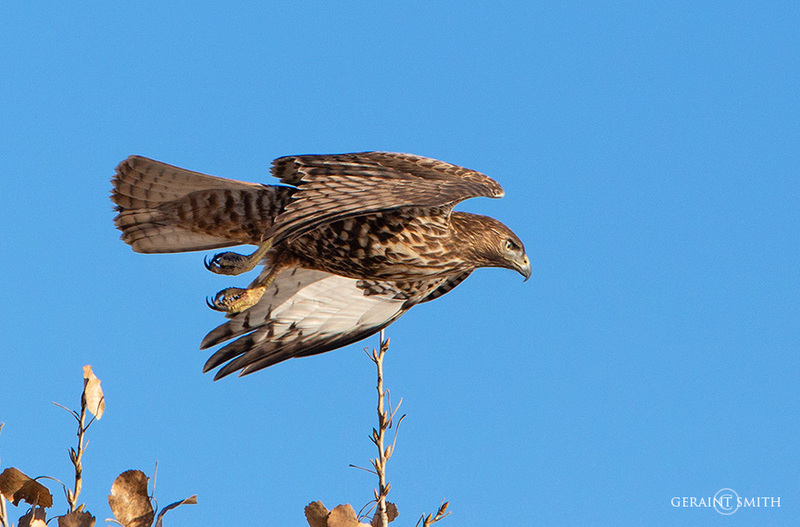 The National Wildlife Refuge is just south of the town of Monte Vista in the eastern San Luis Valley. 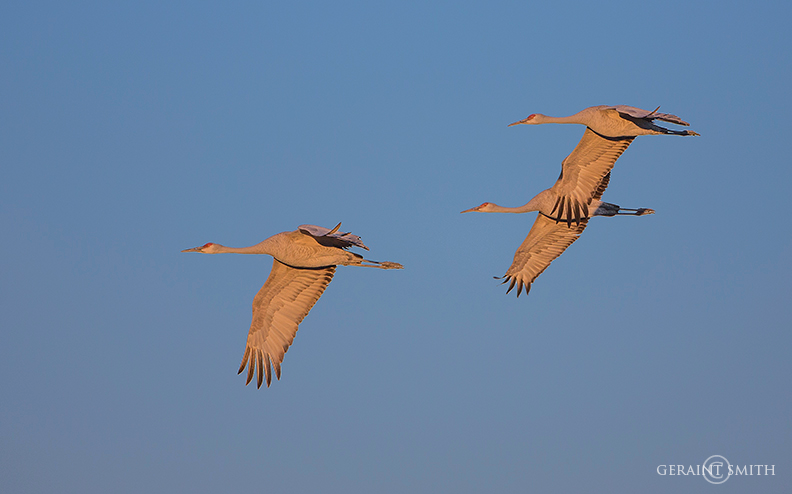 There is plenty to see on the drive there and thousands of Sandhill Cranes are the payoff in the NWR at the end of the journey. That said … if we are lucky… the sunset on the Sangre de Cristo mountains on the drive home really makes for a spectacular finish to a day of photography. 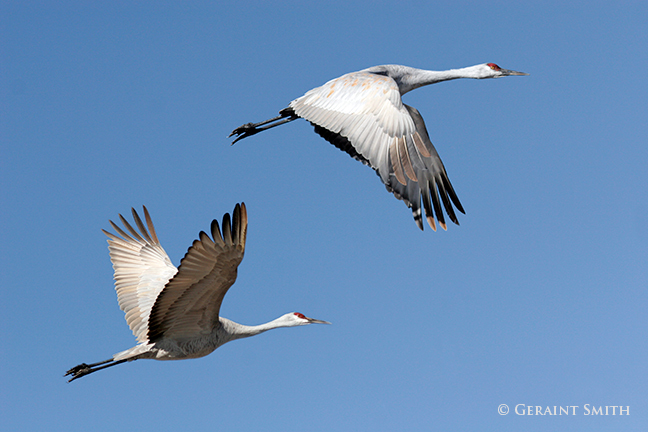 The Sandhill Cranes will be flying through there again in early March. That’s when we’ll make another trip north to spend time with them. Thanks for looking. 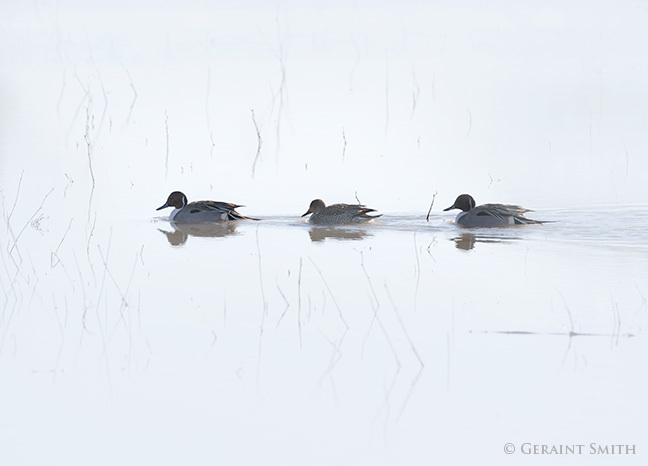 Northern Pintail ducks in the Bosque del Apache (Woods of the Apache) NWR, Socorro, NM. 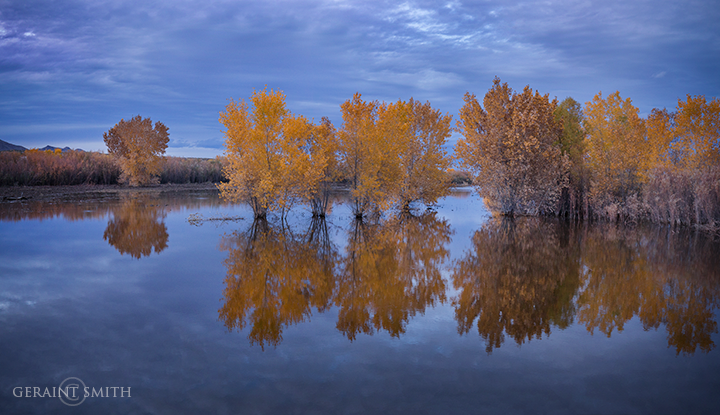 It’s not hard to make a good image in the National Wildlife Refuge. At this time of year there is an abundance of waterfowl wintering in the somewhat more temperate climate of central New Mexico. These particular ducks came out of the reeds and marsh grasses in tandem. Observing them through the lens I had a feeling they knew where they were going. 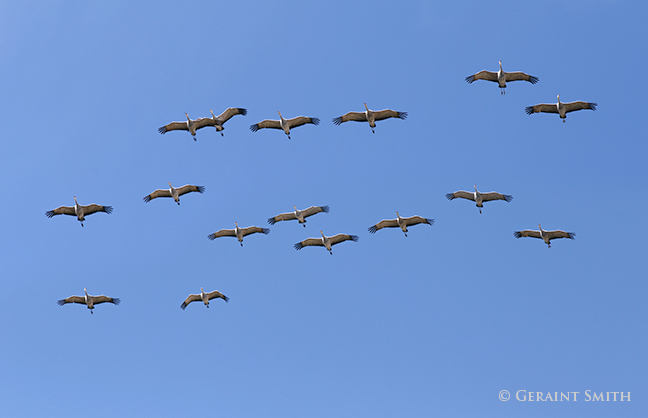 I had no clue what they were about, effortlessly gliding along. I got to watch and enjoy this moment and create a few compositions of the scene. 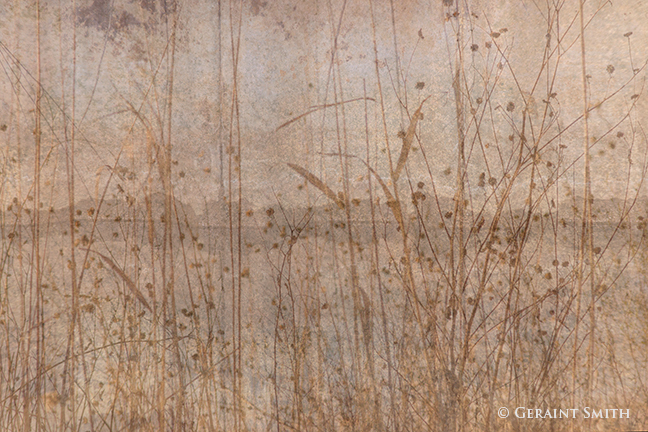 Reviewing the image later I recalled, if nothing else, the reverence for a moment when I saw the three of them emerge from the reeds and marsh grasses taking my breath away in their wake.